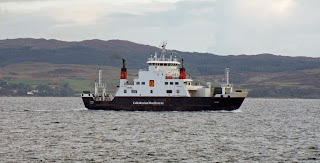 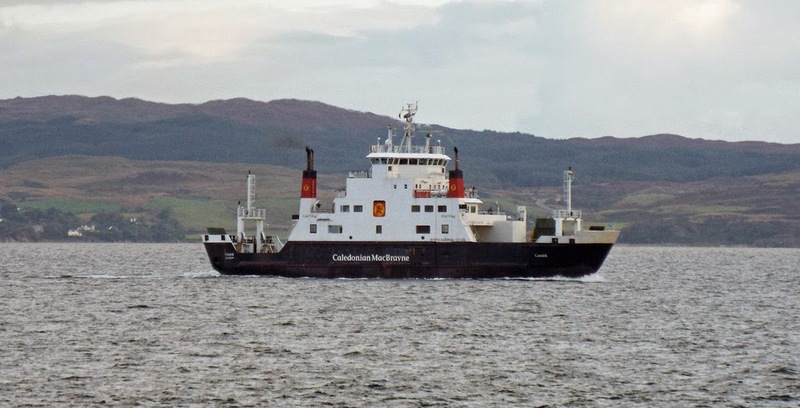 Loch Riddon and Loch Shira on service 19 September 2014. 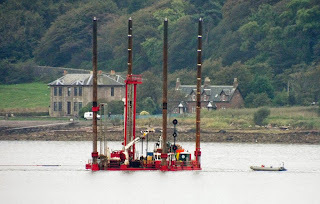 Coastworks' Coastrunner towing a jack-up barge 19 September 2014. 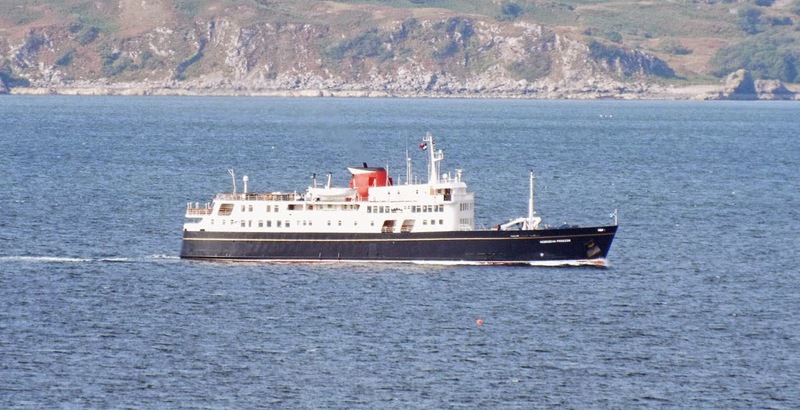 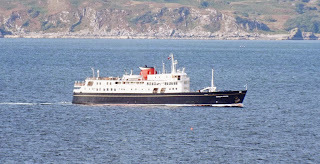 Hebridean Princess in the Sound of Sleat 24 September 2014. 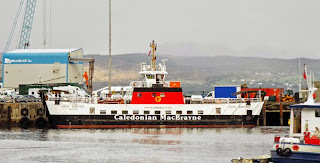 Caledonian Macbrayne's spare vessel Loch Bhrusda is normally based on the Clyde, however seen here at Mallaig Pier 24 September 2014. 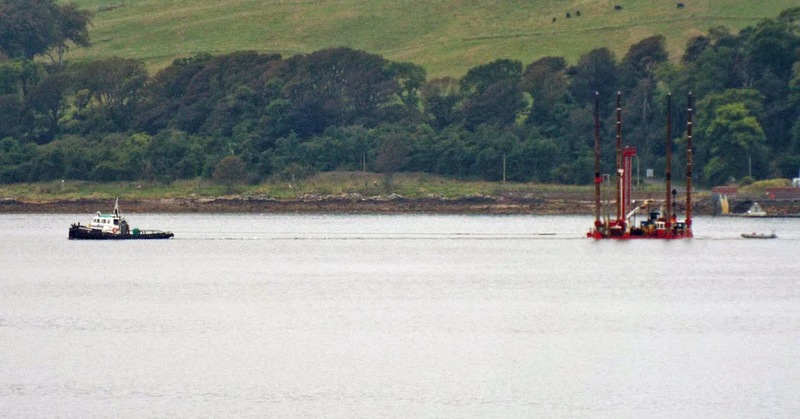 Our old friend, cable layer Rene Descartes continues to lay new cable for "superfast" broadband, this time across the Sound of Sleat 24 September 2014. 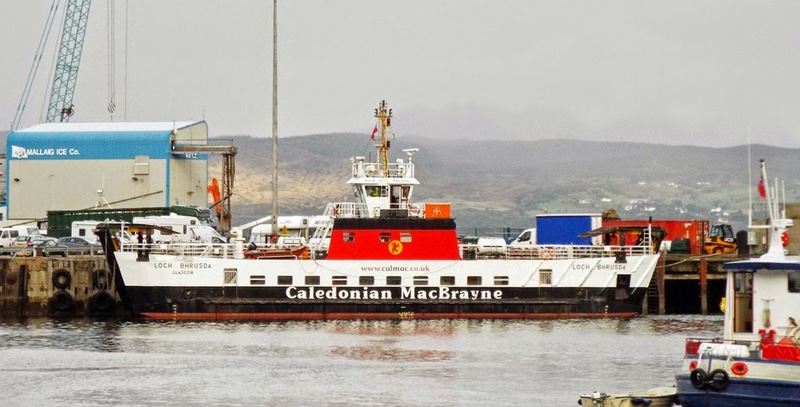 Skye ferry Coruisk approaching Mallaig on service 24 September 2014. 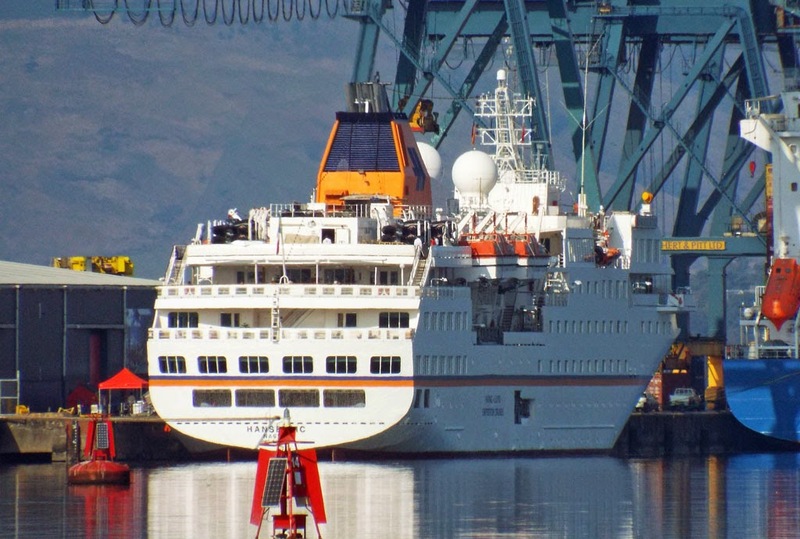 Cruise liner Hanseatic at GOT 21 September 2014.